Creamy flower spires help to light up a shady corner. I haven,t seen this white one Janey , it,s lovely , I have the purple one ! White is such a treat in a shady corner, a winner in deed. This photo is of species Aconitum Ivorine. 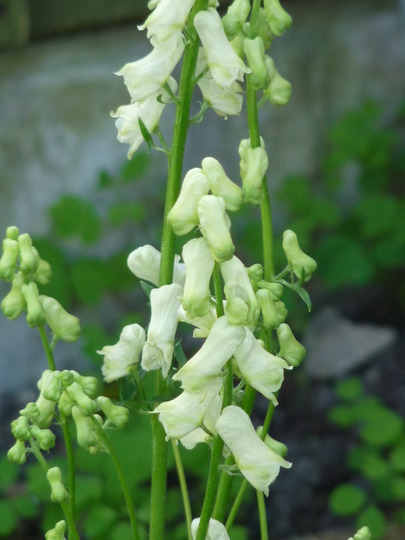 See who else has plants in genus Aconitum.